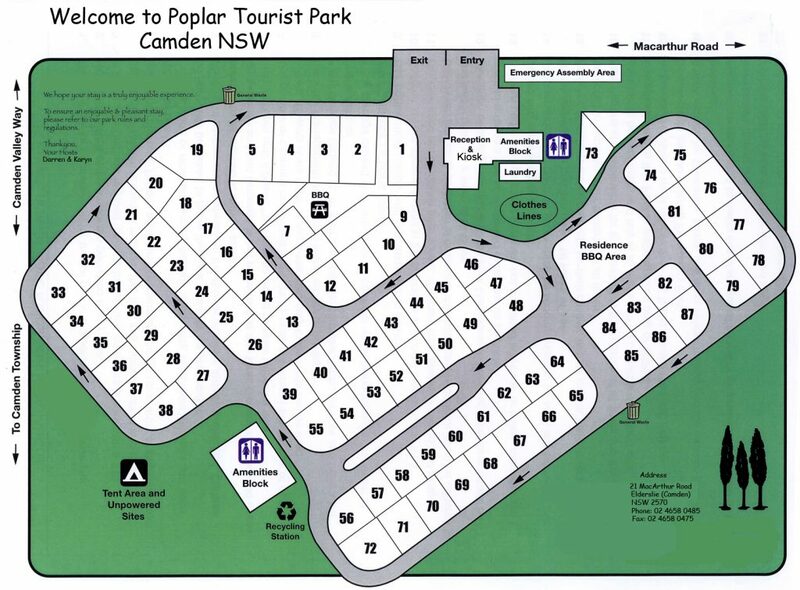 Our Park is just 800m to the centre of Camden, it’s an easy flat walk or quick drive. You will fall in love with Camden and all of its charm! Take the short walk to the train station within the Sydney Airport Terminal & catch the train to Campbelltown Railway Station. Catch the 895 Bus service to Macarthur Rd, Elderslie (Camden) & tell your bus driver to stop at Poplar Tourist Park on Macarthur Rd, Elderslie. It’s that simple.